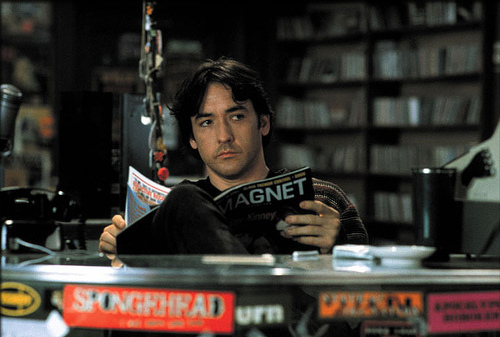 This is a question asked by John Cusack’s character (Rob Gordon) in the film High Fidelity. I thought it might be fun to write a blogpost that tried to go some way to answering the unresolved question of a fictional character. I soon got sidetracked after coming across something on music and suicide. There is a paper by Steven Stack and Jim Gundlach that looks at country music and suicide. The authors found a correlation between white suicide rates and country music: “the greater the airtime given to country music, the greater the white suicide rate”. This PDF concludes that “while country music per se probably will not drive people to suicide, given its link to a subculture and its appeal to persons within the subculture who are already at increased risk of suicide, it can impact on suicide rates”. First, Mauk et al.’s charge that suicide is an individual act that cannot be assessed through group statistics is a paradigmatic critique that can be leveled against the bulk of sociological work on suicide. The position of Mauk et al. is precisely that which Durkheim ( 1966) polemicized against in order to legitimate the discipline of sociology in the nineteenth century. Second, their notion that “psychological autopsies” constitute the only legitimate methodology for studying suicide is an overstatement. Third, the noted ecological fallacy problems can, in fact, be remedied through properly specified models. Many ecological relationships involving suicide have been replicated with individual-level data. Fourth, the charges that our subcultural argument is “barely implied” and that the notion of a country music subculture is a myth are inaccurate. We reiterate our subcultural theory as well as the evidence in support of such a subculture. In an attempt to replicate their suicide model for whites, we used the same data and methods. Our results indicate that country music – both bivariately and multivariately – has a negative, though insignificant effect on white urban suicide rates. Maguire and Snipes weren’t finished though. They claimed that Stack and Gundlach’s response sidestepped the most relevant critique of the original study. Maguire and Snipes reattempted the replication using Stack and Gundlach’s figures but again failed to produce a significant effect of country music on white suicide. Finally, there is this from Stack and Gundlach which they claim offers additional support for a link between country music and suicide. This article is itself cited by 10 others on Google Scholar. Following up on articles citing this paper, I came across two articles by the same authors (Jane Pirkis and R Warwick Blood) looking at fictional and non-fiction reporting of suicide. The review demonstrated that there is an association between nonfictional media portrayal of suicide and actual suicide. The association satisfies sufficient of the criteria of consistency, strength, temporality, specificity and coherence for it to be deemed causal. This means that, say, newspapers should tread carefully when reporting on suicide in order to avoid encouraging copycat suicide attempts. Here, the Express publish an article on a purported link between phone masts and suicide. They include references to the manner in which several young people commit suicide. Goldacre includes links to research suggesting that suicide increases in the month after a front page suicide story and another paper that is cited in support of Goldacre’s argument that the media should be careful in how they discuss suicide. The other article I mentioned finding on Google Scholar was this one: Portrayal in Fictional Media. This review considered 34 studies examining the impact of fictional portrayal of suicide (in film and television, music, and plays) on actual suicidal behavior. It asked the question: “Is there any association, and if so, can it be considered causal?” Using strict criteria to establish causality, we found that the evidence was more equivocal than was the case for nonfictional reporting. The evidence for an effect of nonfictional reporting on suicide appears to be stronger than the evidence for an effect of fictional portrayal of suicide. Despite this, the media have on occasion apparently failed to account for the risks that might result from their reporting of suicide. Media guidelines for reporting suicide are here. The Samaritans are here; See Me, an alliance of Scottish mental health organisations, are here; and Papyrus here. Thirty-five individuals were eligible for examination. None of them had reattempted suicide. Seventeen (48%) had good outcomes reflected by absent or ambulatory psychiatric treatment, employment, normal psychiatric findings and good psychosocial ability. Have you read the relevant chapter in “The Tipping Point” (Gladwell)? Worth a look anyway. Haven’t read The Tipping Point. Might have to take a look at that.